There are so many Bible study options available now: topical studies, word studies, book studies, inductive studies. Some of them require a major time commitment, others take only a few minutes a day. It can be an overwhelming choice. 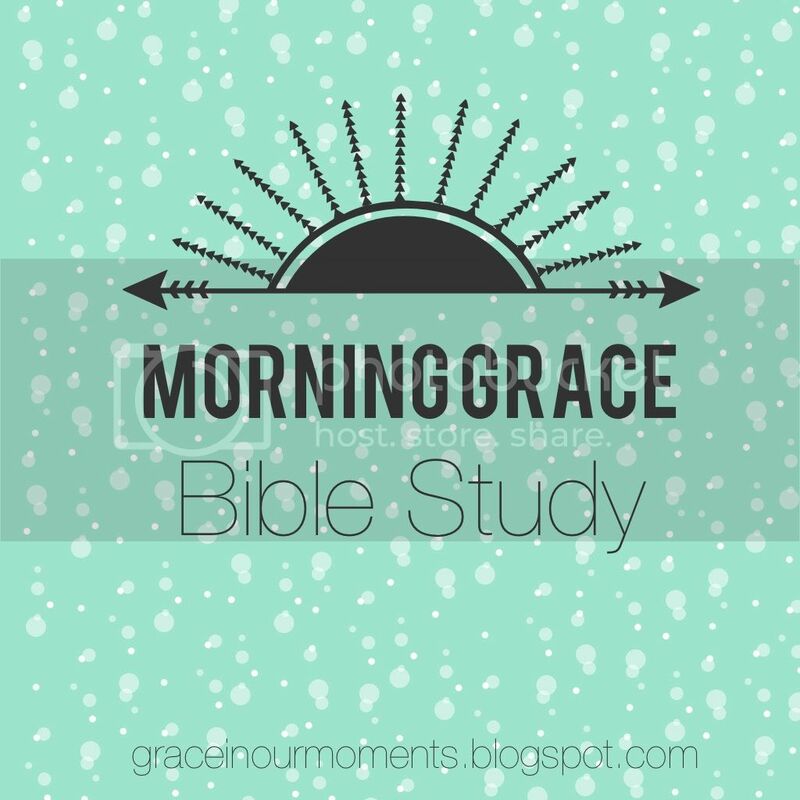 Where do you begin, and how do you make Bible study a part of your daily routine? 1. Choose the right Bible. NIV - easy to understand, this is a very popular translation with lots of Bibles and other study materials to choose from. This is the translation I use when I teach children’s church. NASB - For my own personal study, I use the NASB Study Bible. It's widely regarded as one of the most accurate translations, plus it's easy to understand. It's filled with good information, including background information on each book, maps, cross references, and more - but it's all on a pretty easy to understand level. It's a great for your first study or your hundredth. ESV - Also a very accurate and easy to understand translation. One important note: Make sure you choose a translation (NASB, NIV, etc.) instead of a paraphrase. A translation is word for word from the original languages, while a paraphrase is a retelling in an individual's own words. Paraphrases can be a great tool, but they should be used as extra reading, not your main study Bible. 2. Think about your learning style. Are you a visual learner? Do you like variety or do you need repetition to learn? Do you move quickly through new material, or you like to mull over new ideas over a few days or weeks? Look for a study that moves at your pace without overwhelming you. I'm very visual. I love using colors, symbols, charts and graphs to help me digest information. When I discovered Kay Arthur's book "How to Study the Bible for Yourself" I knew I'd found my perfect match. These plans take you through major portions of the Bible, or the whole Bible. Examples are read the Bible in a year plans, the Bible in 90 days, or reading though the New Testament. YouVersion provides lots of great options. My favorite type of Bible study is inductive study. I love the depth of these studies - reading cross references, digging into the meaning of key words, marking maps, and really going deep into a text. I could spend weeks studying the same chapter. If this type of study appeals to you, Kay Arthur's Precept Ministries is the best place to start. Topical studies cover specific topics from the Bible. The possibilities are endless--from prayer to parenting. I have a new book obsession: audiobooks. It's Anne at Modern Mrs. Darcy's fault. She's been talking about Audible a lot recently, and then she posted this. Around the same time, a friend (and author) was looking for reviews on the audio version of her first novel. I volunteered. Now I'm addicted. From now on, my monthly "What I'm Reading" post will include what I'm listening to, plus links to the Audible version of it. I also have to confess: I got majorly behind on my reading last month. At the beginning of February, I was sick (again) and trying to adjust to a new job, including a new work schedule. It really threw me for several weeks. At the end of February, I finally got into a new routine and starting catching up, but I was already behind. As of now, I'm finishing two of the books on the February reading list, but I'll carry one over into the new month. This is the book I'm carrying over from my February list. I can't wait to dive in, since I've heard so many good things about it from fellow Hunger Games fans. I just ran out of time last month. A new job. Easter's quick approach (a busy time for a pastor's family). Home. Family. Projects. My blog. My novel. Life seems to be flying at me faster all the time. I love Anne's blog and her great advice on books, balance, and life in general. I'm hoping to find some practical tips to help me reign in the chaos. This is a new author for me, but I love spiritual memoirs, and I've heard a lot of great things about this one. I was honored to be an advance reader for Heather's debut novel. I gave it a five-star rating on Goodreads, something I rarely do, but I loved this historical fiction novel. The narration is great on the Audible version, and I'm enjoying listening to it on my commute to and from work. What are you reading or listening to this month? I journaled consistently for several years as a teen and young adult, but gave it up in my early twenties when I realized that my journal had become little more than a place to complain. A few years ago, I read SavoringLiving Water, and I decided it was time to try something new. I started the habit again, but with a new perspective. This time I transformed it into faith journaling and incorporated it into my time with God. What resulted is a deeper walk with God than ever before. 1. Journaling adds a new depth to my quiet time. If you want to really grow your relationship with Christ, start journaling. Tell Him what you're thankful for. Write out your prayers. Write out the verses that seem to jump off the page as you read or the words that touched your heart. Choose a “one word resolution” for the year and focus on learning all God has to teach you about that word. Find recurring themes and what God is speaking to you. You will find a new depth in your relationship with Christ. I love Joshua 4 because it tells about “memorial stones,” the ones Joshua placed in the Jordan where the priests carrying the ark stood as Israel crossed over the river. That's what journaling is to me - it's my memorial stone. It's a physical reminder I can point to and say, "This is what God has done." I want to lay these stones not just for me, but for my children, too. My kids have to see and hear what God has done in my life, and remember what He has done in their lives. We have to lay memory stones for generations to come. I pray that my journals will give my children and grandchildren evidence of their heritage of faith. Each day, I write out the scriptures I’m memorizing. Sometimes I’ll add verses from a devotional or from my daily reading. I love writing these words by hand. Need more ideas? You can check out my Journaling boardon Pinterest or follow me on Instagram to see my journaling posts.